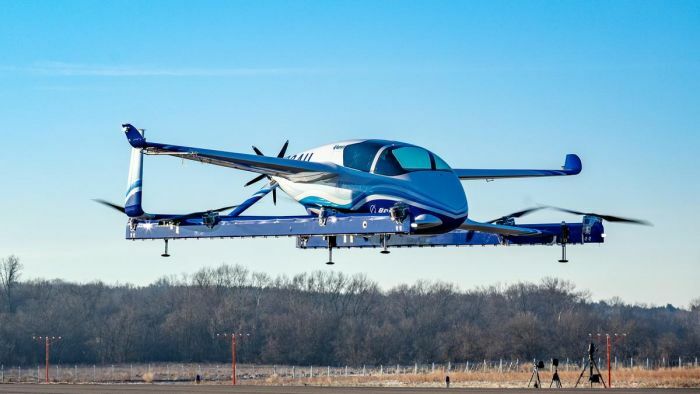 A week ago, Aurora launched an experimental “autonomous” flying (PAV) Passenger Air Vehicle: the first full-scale electric air taxi. Aurora hovered the aircraft a few feet in flight and then let it back down. This is an impressive feat which demonstrates a possible quantum leap in transportation. It skips out on the missing link required in the near future. A new breed of air taxi pilots which must be highly trained under today's standards is required to carry passengers in the near future, within this decade. If companies want electric VTOL air taxis within the next few years they will want to focus on pilot training. This step is necessary as full autonomy has limitations within the realm of human flight. Humans and weather play many unknowns in aviation which require on the spot decision making in seconds. In the majority of Class E and G airspace humans can fly without a radio and transponder under “see and avoid.” For instance in a potential traffic conflict situation, traffic collision alerts are issued by the aircraft’s Traffic Collision Alert Systems (TCAS) system. When this happens, aircraft do not respond automatically and maneuver. An alert is issued and it is up to the quick decision making of the pilot in command which control input is required to safely maneuver the aircraft. Humans make 1000s of decisions on each flight, especially when significant weather is involved. These are not two dimensional decisions, they are multi-dimensional decisions. The decisions range from many complexities: from deviating aircraft flight paths for minor turbulence for passenger comfort to avoiding extreme life threatening weather, to canceling a flight for aircraft mechanical issues. With any new emerging technology it is best to have the highest trained personnel first and if capacity allows reduce requirements. While the FAA reduced training requirement for “sport pilots” they increased the restrictions. For example, no paying passengers are allowed for hire and only one non-paying passenger allowed. The FAA does not move at a fast pace. Easing restrictions takes time. As of writing, the FAA rule for drones is a maximum altitude of 400 feet and within sight (there are exceptions in special use airspace).The first step for FAA approval for autonomy is cargo carrying capacity without carrying human passengers. This first step will most likely fly along approved routes and within limited reach of airports or airspace of human flown aircraft. The flying public will want to see how electric, near autonomous, VTOL aircraft, function and operate with pilots. Which, are at least monitoring the controls, and ready to take over before stepping foot into an autonomous drone aircraft for commuter air travel.